THE NETHERLANDS, AMSTERDAM- APRIL 12th 2018: Passenger airplane take off. 4k00:10Buenos Aires, CIRCA April 2017: Jetway Bridges at Ezeiza Airport in Argentina. hd00:12PHILADELPHIA, PA - AUGUST: Cloudy day at Philadelphia airport with Delta Airlines planes lined up at terminal in Philadelphia, Pennsylvania on August 17, 2014. 4k00:08Amsterdam, February 5, 2017. 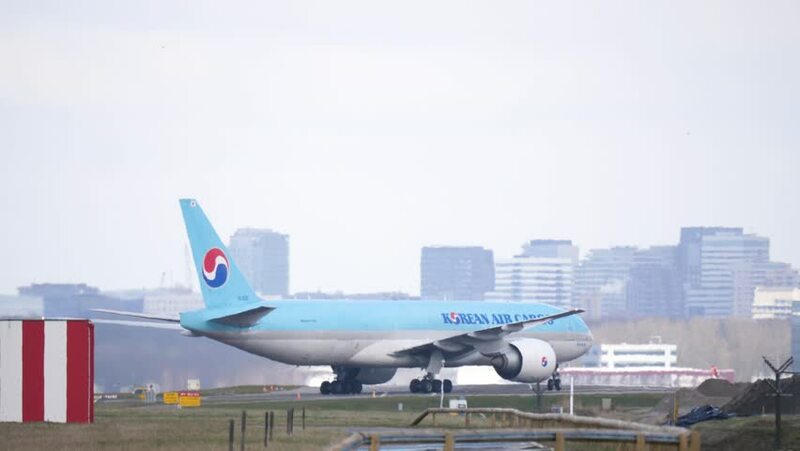 KLM airplane in the middle of takeoff, camera tracks plane. 4k00:20Passenger airplane at the airport area. Preparation before flight. Few people boarding. No logos on plane. 4k00:11MONTREAL, CANADA - MAY 2015 : KLM plane at the airport gate with workers preparing the aircraft.